With school and sports and recitals and all the millions of things we busy Americans are bombarded with constantly, sometimes the little things in life get left off of our todo list. However, establishing early childhood brushing habits may be one of the most important gifts you can provide for your child. Whether we grow up having strong, healthy teeth or softer, more brittle, and cavity-prone teeth depends a lot on our formative years. It’s never too early to bring your child to a dentist, although the first tooth typically arrives at six months of age or soon after. Most dentists will recommend seeing a dentist for the first time around age 1 or 2 and usually involves a fun visit, we like to call it a happy visit. This appointment is primarily to get children acquainted with the dental office and staff, see the different rooms, meet the doctor, and if they let us, we brush their teeth with a special toothpaste. This visit is relatively inexpensive, but it allows children to see there is nothing fearful at the dentist. A stop at the treasure chest on the way out surely helps as well! Did you know we pass on different species of bacteria to our children by sharing drinks and planting big kisses on them? This isn’t a bad thing per se. We all have bacteria in our mouths, and not all species of bacteria are destructive. We must prioritize cleaning the “tooth bugs” off of our teeth every morning and night. And it’s never too early to introduce floss to our children, even if the spacing between them makes the act seem kind of silly. Remember to time them for two minutes and monitor their technique at least up to age 8. Kids should use a soft toothbrush with a small head that can easily access all areas of the mouth. Your children’s toothpaste should contain Fluoride, and over the counter Fluoride rinses, like ACT, can further strengthen teeth to prevent cavities. Children with braces have a higher risk of developing cavities and should discuss steps to maintain a healthy smile with their orthodontist. Replace your toothbrush at least every three months and dispose of it after your child has been sick. Also, we should focus on nutrition by limiting the sugary snacks between meals. These steps can keep your child healthy long-term and get them on the right track to a healthy lifestyle. The mouth is the gateway to our entire system, and study after study continues to show eliminating gingivitis and periodontal (gum) disease is extremely important to your overall health, including many organ systems such as the heart, liver, and kidneys. Trying to establish habits later in life is much more challenging. 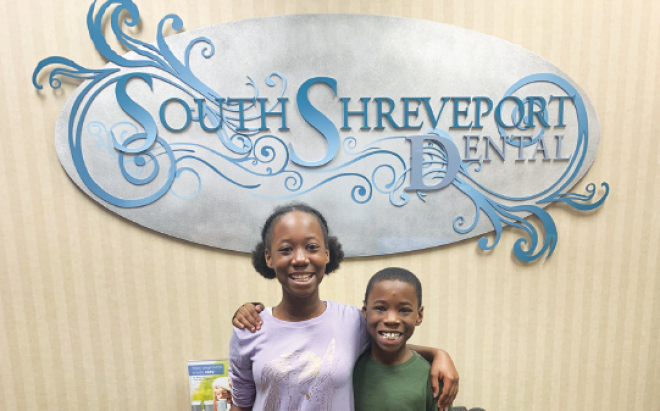 Dr. Andrew Simpson is a general dentist in Shreveport, LA.